To digitize the time-tested, cross-curricular and multi-age teaching and learning technique of journal writing—that is, to replace the ubiquitous paper journal with a virtual one—the Canadian company Penzu offers the free-of-charge and secure Basic Journal. With it, learners can write, save and share unlimited private-by-default journal entries. Reflecting on two years of classroom experience with it, I have found the Basic Journal to be cross-platform, reliable and user-friendly. It has augmenting features, but, like all digital technologies, shortcomings too. The Basic Journal has four versions: (1) Penzu Classic (https://classic.penzu.com/), a website with a traditional-looking writing pad; (2) Penzu (https://penzu.com/), a website with a minimalist-looking writing pad; and (3) and (4) are two mobile native apps sharing the same name, Penzu Free Diary & Private Journal (one app for iOS and one for Android devices). The two website versions are accessible on Mac, Microsoft and Chrome desktops, laptops and notebooks; and the two app versions, on smartphones and tablets. The four versions sync, allowing learners to move seamlessly from device to device, or from version to version. With the Penzu Classic website released in 2008, the apps in 2011 (updated since), and the Penzu website in 2015, and having over two million registered accounts across 170 countries (Penzu Support, personal communication, June 27, July 20, July 24, August 1, 2018), time and use have shaped the Basic Journal into a dependable tool. Indeed, over the past two years, my learners encountered only one bug: a malfunctioning Search feature, a feature that my learners use to retrieve their entries so that they can reflect on or revise them. After I notified Penzu Support about this issue, the problem was resolved within 24 hours. Along with being multi-platform and dependable, the Basic Journal is easy-to-use, from signing up for and into an account, to composing and sharing an entry. To sign up, learners enter their names, make a password at least 4 characters in length (no capital letters, numbers or alphanumeric characters needed), enter their email and then accept or decline customization features. Most Grade 3 learners could complete this process independently. To sign in using either website version, learners enter their email and password, and then select their journal (learners can have multiple Basic Journals in their accounts) and a writing pad appears. To compose an entry, the learner can use rich-text editing features (bold, italic, underlining, etc.) to fashion not just entries but different texts too, bulleting to highlight points in a summary, or numbering to outline paragraphs in an essay. And to share an entry using either app version, the learner selects the Share/ Forward icon, sharing privately with a teacher or peer, or sharing publicly on social media. First, according to Longhurst and Sandage (2004), all digital journals dispose of paper-journaling inconveniences: learners losing or forgetting their journals, teachers carrying heavy bags of paper journals, and both learners and teachers reading messy handwriting. As well as remedying these headaches, digital journals enable learners to carry their writing forward from grade to grade effortlessly, documenting the growth of, and providing opportunities for self-reflection on, writing and critical thinking skills. Second, and specific to the Basic Journal, the website and app versions permit learners to upload photos that are up to 5MB onto an entry (Penzu Support, personal communication, November 27, 2017), a beneficial feature as visual images can motivate learners to write creatively, descriptively and narratively. Though my learners occasionally upload vapid photos (e.g., the selfie, inspiring little writing) at other times they upload pensive ones (e.g., a picture of a waning grandmother) coaxing reserved and resistant journalers to write passionately. Third, in addition to accommodating photos, the website versions provide 1200 written prompts (Lightbulb icon) for writing inspiration (Penzu Support, personal communication, Sept.14, 2017). Learners can peruse the prompts, then select one, ruminate over it, and finally paraphrase or respond to it. Although some of the prompts are conventional and suitable for all ages (e.g., “My ambitions are…”), others are abstract or mature (e.g., quotes by figures like Albert Einstein and Mae West), requiring abstract thinking skills that many elementary learners have not yet attained, or focusing on subject matter that elementary school learners’ parents may disapprove of. 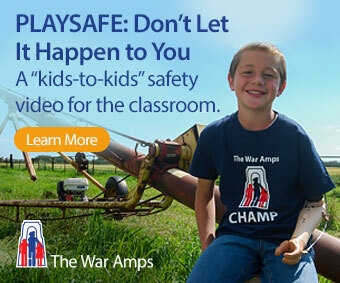 Accordingly, the prompts befit junior high to high school learners. Though Penzu Classic has a dialogical feature, the other website version, Penzu, has an assistive one: the Zen Mode (Four Arrow icon). The Zen Mode feature assists easily distracted learners, for example, learners with ADHD, to focus on their writing by reducing on-screen distractions (colours and menus) on the journal’s interface. Though lacking a distinguishing feature, the app versions provide digitally tethered learners, that is, what Savin-Baden (2015) describes as learners always connected, always interacting with digital technology, constant connectedness. Because the apps are offline apps, they work even when not connected to the Internet, allowing learners to write in their journals anytime, anywhere. For example, my tardy digitally tethered learners usually finish their writing between classes and over lunch. First, the Basic Journal fails to satisfy both digitally tethered learners’ and BYOD (bring-your-own-device) classrooms’ expectations. To explain, digitally tethered learners expect untethered learning, that is, the ability to do all in-classroom work outside of the classroom whenever and wherever; and BYOD classrooms expect all devices to perform the same, or similar, functions. But because of the differences between the Basic Journal’s versions, some journaling tasks cannot be completed at the learner’s convenience or on all devices. For example, because the Comments feature is available only with Penzu Classic, dialogue journaling with the Basic Journal cannot be completed offline or on mobile devices. And second, the Basic Journal lacks painting tools, e.g., a freehand pencil, eraser or brush. Such tools would more effectively include young children and those with limited literacy skills. As we are aware, these learners often use illustrations either to complement their writing or to serve as an alternative to it. Another similar flaw is the absence of drawing tools, e.g., diagrams, flowcharts, graphs, equations and symbols, making writing about math and science challenging. Cross-platform, trustworthy and simple-to-use, the Basic Journal provides learners with not only basic journaling features (writing, saving and sharing limitless entries) but also augmenting ones: ready-made writing prompts and photo uploading to evoke writing, commenting to facilitate dialogue journaling, and the Zen Mode to reduce on-screen writing distractions. But because all of these enhancing features are not accessible on every version of the Basic Journal, teachers must plan classroom journaling activities accordingly; for instance, for dialogue journaling, learners need to use Penzu Classic on a desktop, laptop or Chromebook with Internet access. Another shortcoming is the absence of painting and drawing tools, making the Basic Journal best suited for literate learners in subjects such as language arts and foreign languages. 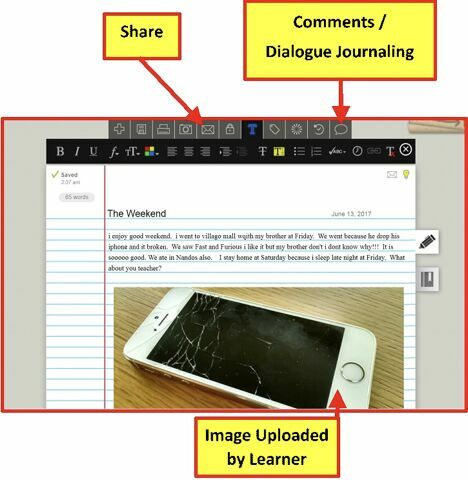 Not perfect, but beneficial, the Basic Journal is a no-cost, secure option for teachers seeking a digital journal. Denne-Bolton, S. (2013). The dialogue journal: A tool for building better writers. English Teaching Forum, 51(2), 2-11. Retrieved from https://americanenglish.state.gov/files/ae/resource_files/51_2_3_denne-bolton.pdf. Linnell, K. M. (2010). Using dialogue journals to focus on form. Journal of Adult Education, 39(1), 23-28. Longhurst, J., & Sandage, S., A. (2004). Appropriate technology and journal writing: Structured dialogues that enhance learning. College Teaching, 52(2), 69-75. Retrieved from http://elibrary.bigchalk.com. Peyton, J. K., & Staton, J. (1991). 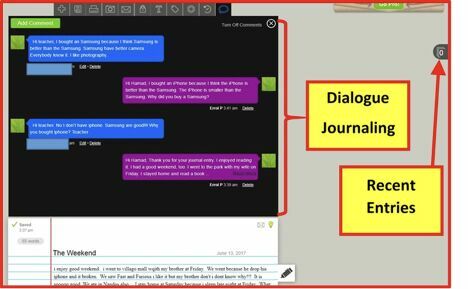 An introduction to dialogue journal writing. In J. K. Peyton & J. Staton (Eds. ), Writing our lives: Reflections on dialogue journal writing with adults learning English (Language in education series, 77) (pp. 1-3). Englewood Cliffs, NJ: Prentice Hall Regents; National Clearinghouse on Literacy Education. (ED333763) Retrieved from https://eric.ed.gov/?id=ED333763. Errol Pitts has been teaching math and EFL for over 14 years. Though he started his teaching career in Canada, his passion for travel has kept him overseas for the past ten years.